Help children master core English skills required for success at school and beyond. Matched to the curriculum, our acclaimed Scholastic English Skills series is full of easy ways to teach the essentials. 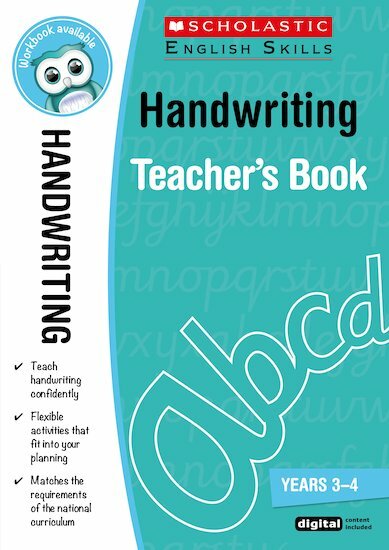 This handwriting teacher’s book includes writing activities, spelling practice, joining exercises and support for left-handers. Animated demonstrations of letter formation can be found on the CD-ROM. A linked pupil workbook is also available.